Social enterprises in the UK are growing strongly, reinvesting millions of pounds into doing good and providing jobs for hundreds of thousands of people who are passionate about making a difference. 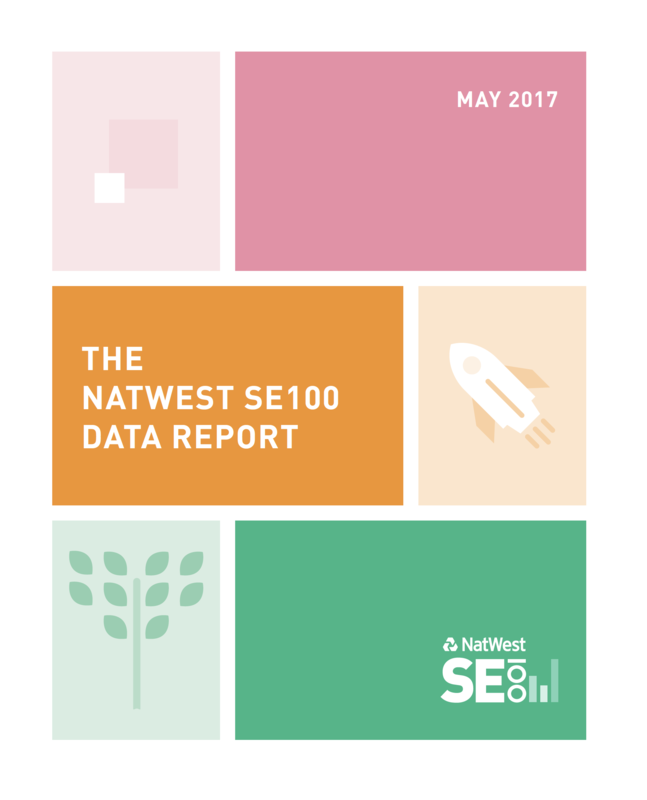 The seventh NatWest SE100 Data Report, launched today at the Beyond Good Business event in London, is the largest survey of the UK social enterprise sector’s turnover, growth, profitability and employment. It compiles data from 2,120 social enterprises with a total turnover of £8.5bn. • Social enterprises are growing strongly: the average year-on-year growth in turnover for established enterprises on the Index is 61%. • The leading social enterprises are growing at a phenomenal rate: the average year-on-year growth of the 100 fastest growing enterprises is 932%. • The social enterprises on the Index report a combined total of £934m in profit; a significant proportion of this profit is reinvested into furthering their social and environmental goals. • Social enterprises provide thousands of jobs for people who want to make a difference: data from 610 enterprises on the Index shows they employ a total of nearly 116,000 people. The report suggests that as social enterprises mature, many of them will grow into multi-million pound ventures. The average turnover of enterprises under three years old on the Index is £634,000 while the average turnover of enterprises which are ten years old or more is £8m. It also demonstrates that the biggest 100 enterprises by turnover handle most of the money that passes through the Index. The total turnover of the biggest 100 enterprises is £6.5bn, which represents 76% of the total turnover of the whole Index. Geetha Rabindrakumar, head of social sector engagement at Big Society Capital, said that social investment should help to develop social enterprises in the future. The report comes a few months after the annual SE100 Social Business Awards which celebrated eight social enterprises for leading the way with strong leadership, impressive growth, sound business approaches, great communication of their stories and more. The SE100 Index is managed by Matter&Co, Pioneers Post’s sister company. • Nominations are now open for the NatWest WISE100 (Women in Social Enterprise 100). This will recognise and celebrate 100 leading women in social enterprise, impact investing and social innovation. See www.wise100.co.uk for more information.